The Philadelphia criminal defense attorneys of Goldstein Mehta LLC represent clients who are charged with all types of firearms and weapons offenses. We have successfully defended individuals in preliminary hearings, pre-trial motions such as motions to suppress, and at trial. Straw Purchase/Illegal Transfer of a Firearm charges are treated particularly seriously by the criminal justice system. This means that if you are under investigation or facing charges for illegally selling a gun, you should retain an experienced defense attorney immediately. 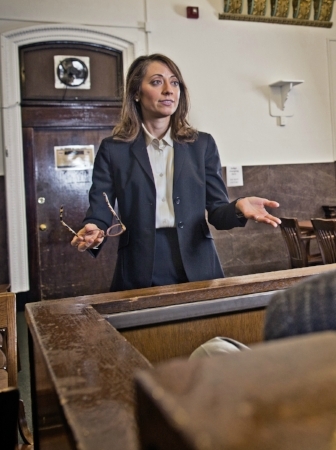 We offer a free 15-minute criminal defense strategy session to any potential client. Call 267-225-2545 today to speak with one of our award-winning criminal defense lawyers. Pennsylvania regulates the procedure by which someone who is not licensed as a gun dealer or importer may sell a gun to another unlicensed person. If you are not a gun dealer, then 18 Pa.C.S. Sec. 6111(c) requires that you sell or transfer the gun at "the place of business of a licensed importer, manufacturer, dealer or county sheriff's office, the latter of whom shall follow the procedure set forth in this section as if he were the seller of the firearm." This provision ensures that firearms transfers take place at a location where the transfer can take place safely and that the dealer or sheriff can run a background check with the Pennsylvania State Police to ensure that the purchaser is eligible to purchase and possess a firearm. Although the law requires most transfers to take place at a gun store or county sheriff's office, the statute does provide an exception for certain family members. It does not apply to transfers between spouses or to transfers between a parent and a child or to transfers between a grandparent and grandchild. All other transfers are governed by the statute. Failure to follow this procedure could result in being charged with a felony of the third degree under Pennsylvania law, and there are additional federal laws which apply to straw purchases, as well. Additionally, a person who is convicted of two counts or two or more offenses under the statute would be sentenced for a felony of the second degree and face serious mandatory minimum penalties. Pennsylvania law imposes extremely severe penalties on any defendant who is convicted of selling two or more firearms as part of a straw purchase. Straw purchases are graded as a felony, and the law provides for strict mandatory minimums when more than one gun is involved or if the defendant has a prior conviction for illegally selling a gun. Under Pennsylvania law, any defendant convicted of selling two or more guns must be sentenced to a minimum of 5-10 years in state prison. Even if the defendant is only charged with selling one gun, a straw purchase charge should still be taken seriously as it is always a felony and always has the potential for jail time. Pennsylania's mandatory minimum scheme was recently enacted in response to the shooting death of Plymouth Township Police Officer Brad Fox. Officer Fox was shot and killed by a defendant who had illegally obtained a gun as a result of a straw purchase. Accordingly, the legislature enacted a new law in his name which imposes the five year mandatory minimum on any defendant who is convicted of selling two or more guns. 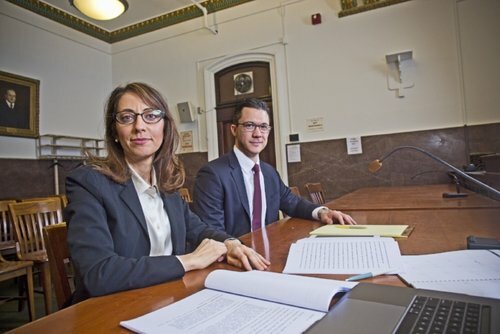 Prosecutors routinely seek to impose the mandatory minimum, making it extremely important that you retain experienced defense counsel if you are facing this type of charge. Notably, the Pennsylvania Superior Court held in the case of Commonwealth v. Dawson that the mandatory minimum applies even if the defendant has two totally separate cases which are open at the same time. Thus, there is no requirement that a criminal defendant have an actual prior conviction for the mandatory minimum to apply. Instead, the mandatory minimum applies whenever two or more guns are involved. Are There Defenses to Straw Purchase Charges? Criminal Lawyer Zak T. Goldstein, Esq. There are often defenses to straw purchase charges. In every case, the Commonwealth or federal prosecutors must prove that the defendant committed the crime beyond a reasonable doubt. In a straw purchase case, this requires the prosecution to show that the transfer was intentional and that the gun was not stolen. In many cases, the government may not be able to do that without a confession or statement from the person who was found with the gun. In other cases, there may be potential motions to suppress both physical evidence and statements. If investigators did not follow the law in conducting an interrogation or search, then the resulting evidence could be suppressed and excluded at trial. In cases involving two guns, it may be possible to avoid the mandatory minimum by showing that the defendant bought one gun for himself or herself and the other as part of a straw purchase, resulting in a dramatically reduced sentence. When you retain Goldstein Mehta LLC, our criminal defense lawyers will thoroughly evaluate the evidence and unique circumstances in your case, investigate for potential defense witnesses and exculpatory evidence, and fight on your behalf for the best possible outcome. What should I do if the police want to question me about a straw purchase or Accuse Me of Selling a Gun Illegally? All citizens of the United States have a Fifth Amendment right against self-incrimination. Criminal lawyer Zak T. Goldstein, Esquire gives information on why this right is important and when to invoke it. If you are facing criminal charges, call us at 267-225-2545. Straw purchase cases are often difficult for the prosecution to prove because the prosecution will typically have to show that the gun was not stolen. This means that detectives and investigators are always looking for a confession as any incriminating statements made by the defendant can be used against the defendant in court to prove that the defendant sold the gun or guns without following the proper procedures. In many cases, police officers will attempt to interview a suspect before criminal charges have been brought in the hopes of obtaining a confession, and they will often suggest that the suspect does not need a lawyer or that the suspect will be treated with leniency in exchange for making a statement. This is almost never the case. If a detective or investigator wants to talk to you about a potential crime, you should always consult with an attorney first and receive professional advice on whether it makes sense to give any kind of statement to police. If you are facing charges relating to an alleged straw purchase or any type of gun charge, we can help. 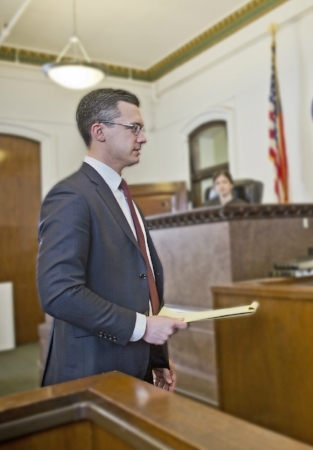 Our experienced Philadelphia criminal defense lawyers have successfully defended thousands of clients in preliminary hearings, pre-trial motions, at trial, and on appeal. We have the experience and skill to thoroughly investigate your case and fight to make sure that your rights are protected and you achieve the best possible outcome. Given the potential for a felony record and a five year mandatory minimum jail sentence in a straw purchase case, it is important that you act quickly. 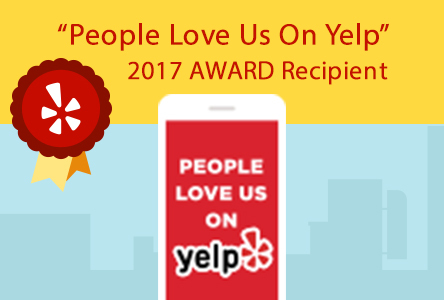 Call 267-225-2545 to speak with one of our award-winning criminal lawyers today. Is it illegal to have a broken gun without a license in PA? PA Superior Court: If you travel from your house to sell drugs to a CI, the police can get a warrant for your house.